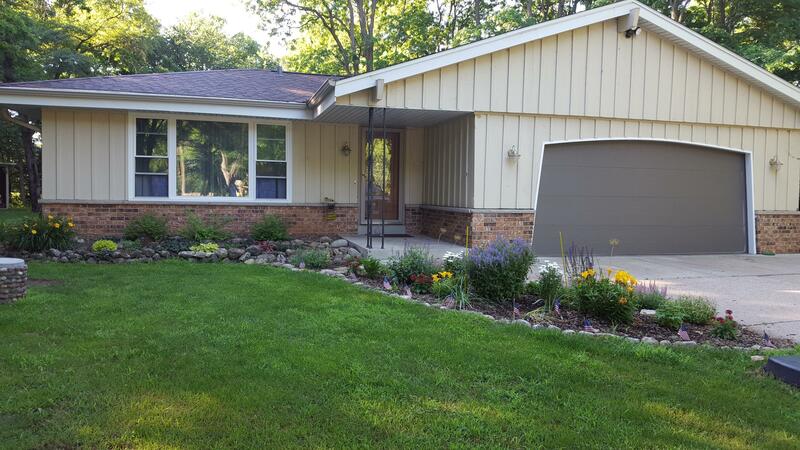 Mukwonago, Ranch home on almost a acre with private wooded backyard. Come in and warm up in the Family room by the Natural Fireplace. Kitchen with granite countertops and high-end appliances included. 3 bedrooms, 6-panel wood doors, and baths updated. Living room, Dining room combo. Extra room in lower level, Laundry room plus a Rec room. Shed with electric for all your outdoor tools and toys. Property includes Deeded Access to stunning Spring Lake Call and See Today.